It’s time to upgrade from yesteryear’s bag. Consider the brief. Messenger bags are great, if you’re a messenger. Or a college student. They’re comfy, effective, and so accessible. Backpacks are great too, especially for everyday use. There are scores of great options out there that don’t look too “highschool,” and you might already own one (or three). But there comes a point in a man’s life when that man needs to get himself a grownup means of portage. We’re talking about something professional. Something that commands the same amount of respect you’ve worked so hard to earn. Fortunately, this doesn’t mean looking like an early-nineties lawyer (or your dad). The market is full of updated takes on the classic briefcase format, with a range of colors, materials, and price tags from which to choose. We’ve found a solid assortment, so take your pick and then go take care of some business. 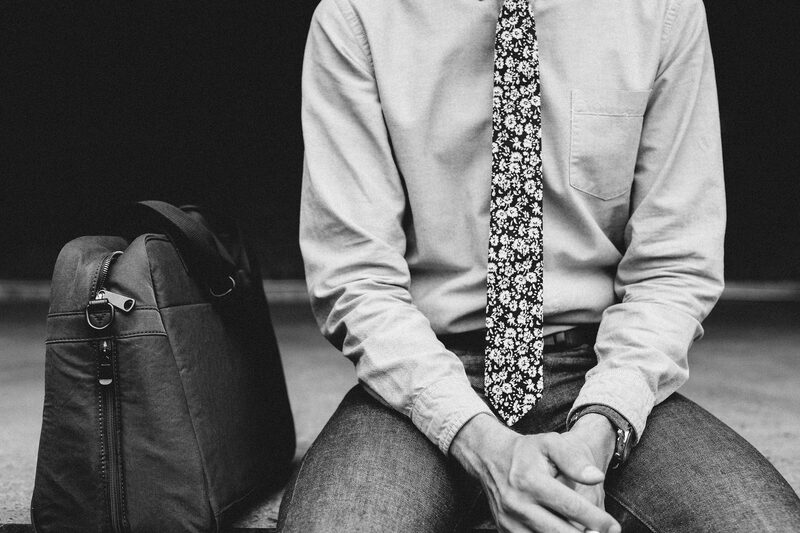 Newcomers to men’s bags as of this year, Lo & Sons nailed it with this do-everything brief. It’s one of very few carry systems that can move so effortlessly from your client presentation to the airport to the gym and then to your buddy’s apartment. We especially like the clever umbrella pocket. Pure class in any color, but we’re in love with this cognac example. Get ready to own the room—you won’t come across many bags as distinctive as this one. Slim and minimal, the premium materials and quality build will keep you on-point for years to come. Filson bags will always be classic, but we love this fresh take on an old standby. Filson only recently introduced black as a colorway in their product line, and we couldn’t be more thrilled. All black Filson? Yes please. 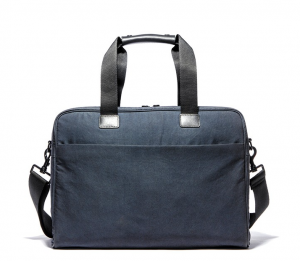 Classic and professional, but with a decidedly less uptight perspective on life than your standard leather briefcase. 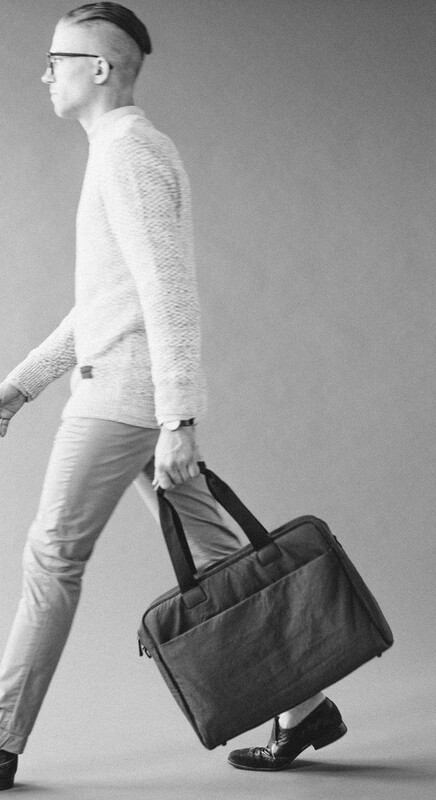 This bag is as comfortable on the beach as it is effective in the office. With a simple, smart pocket layout and durable waxed twill construction, this brief proves nothing should be taken too seriously. “Fresh” was the word that came to mind when we spotted this khaki laptop carrier with its pops of bright yellow. What’s not to love? Clean lines, effective organization, and a refreshingly approachable price tag. You officially have zero excuses not to up your carry game.